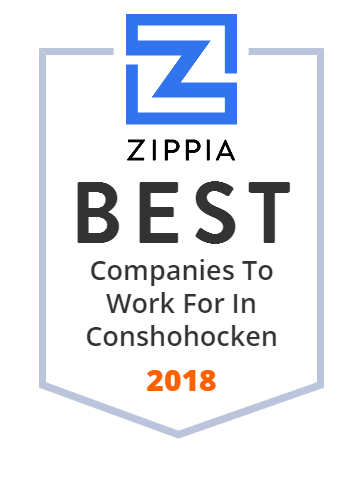 We hand-curated a list of the best companies to work for headquartered in and around Conshohocken, PA using data on salaries, company financial health, and employee diversity. Mercy Health System of Southeastern Pennsylvania is a non-profit health care provider with over 51 facilities in 5 counties surrounding Philadelphia, PA and a small portion of Delaware. Quaker Chemical Corporation is an American chemical company that was founded in 1918. SMG is a worldwide venue management group headquartered in West Conshohocken, Pennsylvania, that specializes in managing publicly owned facilities. It began their operation in 1977 with management of the Louisiana Superdome. It is one of the largest property management corporations in the world. Allied Universal provides unparalleled service, systems, and solutions to serve, secure, and care for the people and businesses in their communities. Their relationships with their employees and clients are at the heart of everything they do, each and every day. This dependable company offers security services, security systems, janitorial and staffing services. Fitzmyer - Distributor of industrial pumps. Manufacturers include ARO, Deming, Gorman Rupp, Blackmer, Wanner Hydra Cell & Dean pump. Replacements, installations & service for process, rotary, diaphragm, water, sump, high pressure & submersible pumps. Get last minute vacation rental deals from the http://t.co/Y1izOYzYAx marketplace. A clinically proven, outcomes-based care management solution that helps health systems and primary care provide better more efficient patient care. Saladworks, LLC is a restaurant franchise that serves made-to-order entrée salads, wraps, soups, and sandwiches.